"45 Years Old, 2 Kids, 3 Pregnacies, Difficult Time Losing Fat in Some Areas, Saggy Breasts - Katy, TX - I love Dr. Morales. He was VERY patient with me. I had such a difficult time with my lipo and he realized it. He was always trying to find ways to help me heal faster. He checked on me and did everything he could to help improve my situation. He always used kind words. 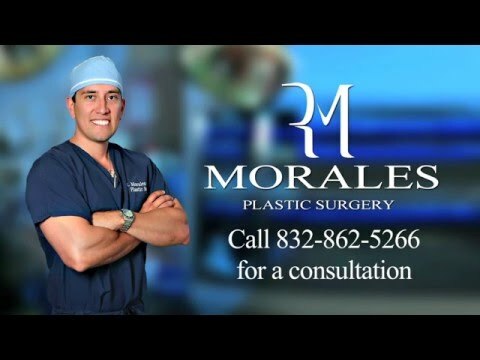 I could not have picked a better surgeon than Dr. Morales. He is simply amazing. - - I had breast lift and implants- this was worth it. I love my breasts. Lipo on 7 areas-I'm not sure this was worth it. I still haven't seen dramatic results on these areas like I thought I would see. I had a hard time recuperating from the lipo. Too much swelling caused me to miss work, prevented me from working out and just plain had me depressed me for months. The healing time was not what I expected at all. If I had known I would get these results and down time I probably would not have done it." The average cost for a breast lift is $4,500-$6,000. The cost depends on the extent of the surgery, and the technique used. Every person recovers differently. The recovery period depends on how many procedures were performed at the same time. The average return to work for the standard breast lift is 2 weeks.